Home > Blog > Looking to improve your outdoor living space? With summer almost upon us, we'll soon all be spending more time outside: and after a long, cold and wet wait for those of us in Tasmania, it can't come soon enough! When the weather warms up you can throw open the doors and suddenly your living space grows to include outside. To make the most of your outdoor living space you need furniture that's attractive, durable and very importantly, comfortable. At home, I have the iron table and chairs that are pictured and can say that they tick all three boxes: they're gorgeous, they look exactly as they did a year ago (despite being completely exposed to the elements) and the chair cushions I bought have been stored away the entire time because the chairs are so comfortable that we don't need them! There's something very special about al fresco dining: imagine sitting out in the sun this summer enjoying great food & wine and the company of family and friends... 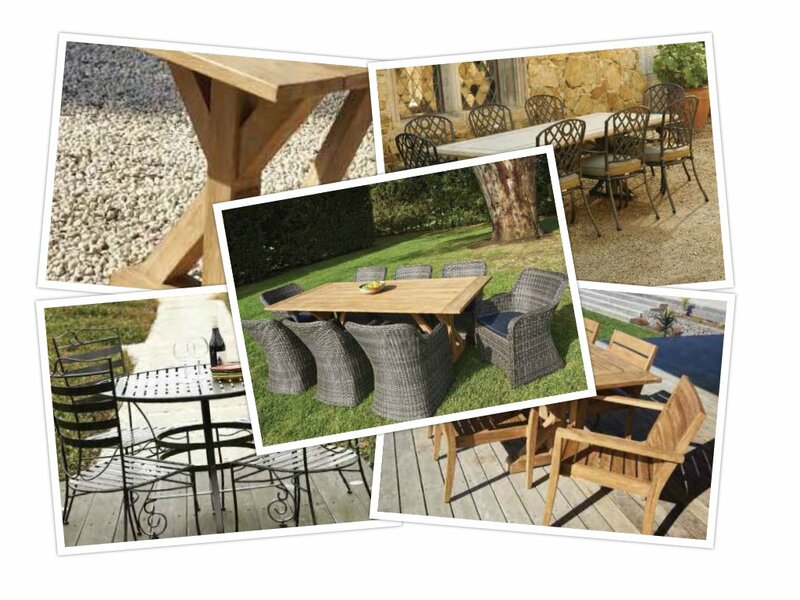 If you need some inspiration, have a look at our high-quality outdoor furniture range including wicker chairs, stone top tables and recycled teak tables and chairs. Which setting can you picture in your garden or on your deck?